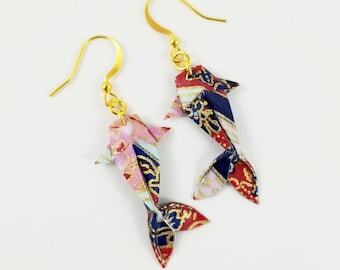 Handmade with Japanese paper, Nickle-Free 18K Gold Plated Metal; these are the perfect gift to treat yourself or for that special friend with a love of all things Japanese. 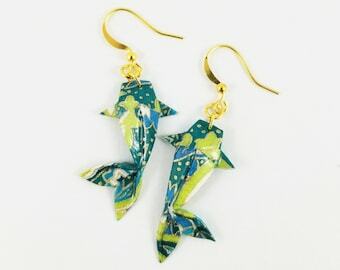 These light-weight paper koi fish earrings are sealed in layers of protective high-gloss polymer and an enamel finish giving them durability and water resistance. 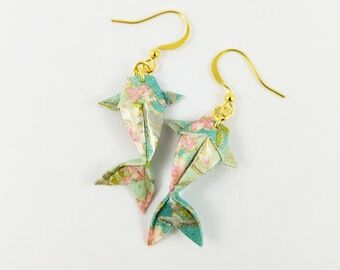 Each origami koi fish earring hangs about 2 Inches from the ear to bottom of the fishes tail and the koi fish itself is about 1.5 Inches in length and 0.5 Inches in width. 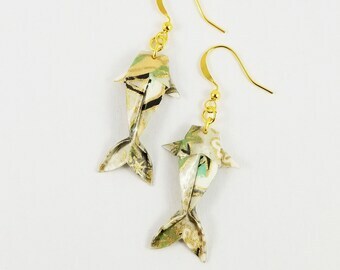 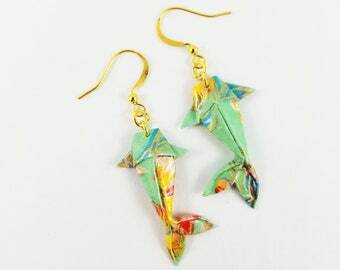 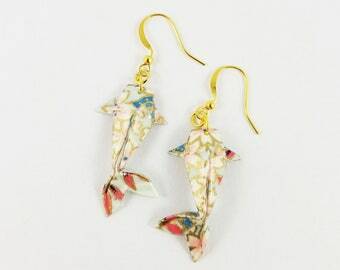 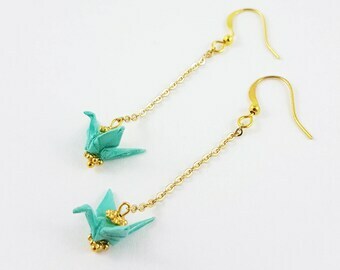 Origami koi fish earrings will be packaged a tiny folded creations jewelry box and come ready to gift. 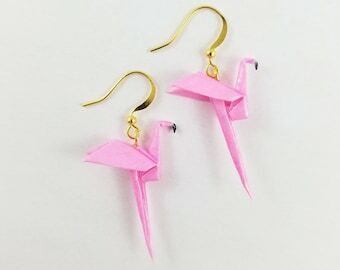 If you would like to send them as a gift directly to recipient, please let me know if you would like to include a note from the sender with the package. 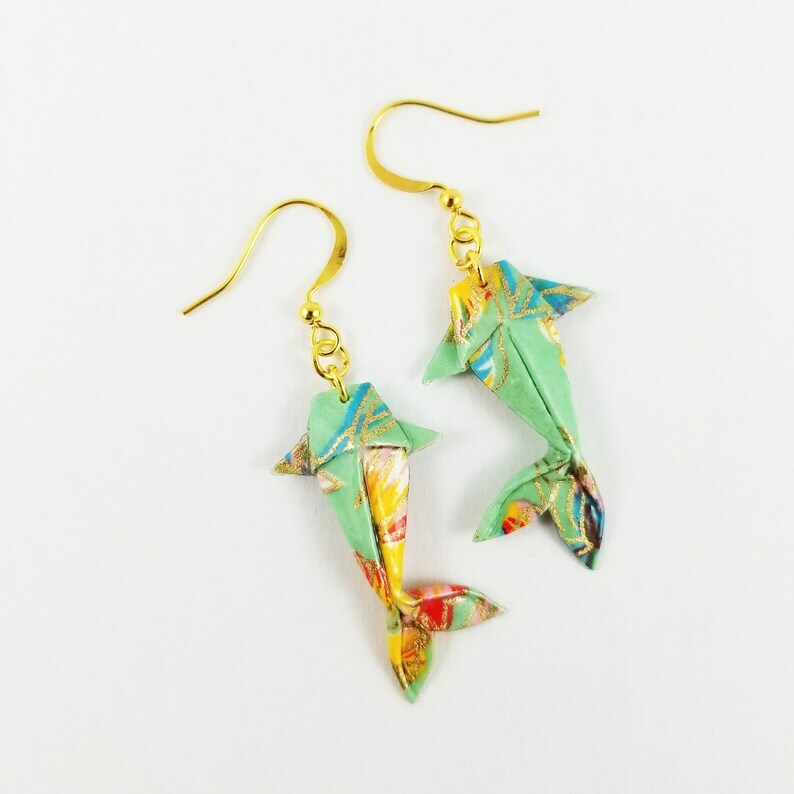 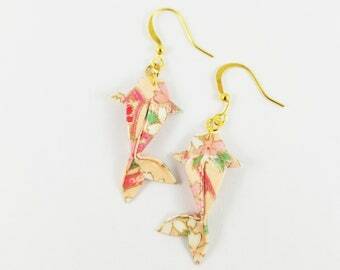 Note: Although the 18k gold plated origami koi fish earrings are coated for durability it is not recommended to submerge these in water, they are paper after all.